A big congratulations goes to Zac Baum on winning the Agnes Benidickson Tricolour Award. This will be the third time a Queen’s School of Computing student has won this award. The first two recipients were Eric Rapos and Max Garcia, respectively. 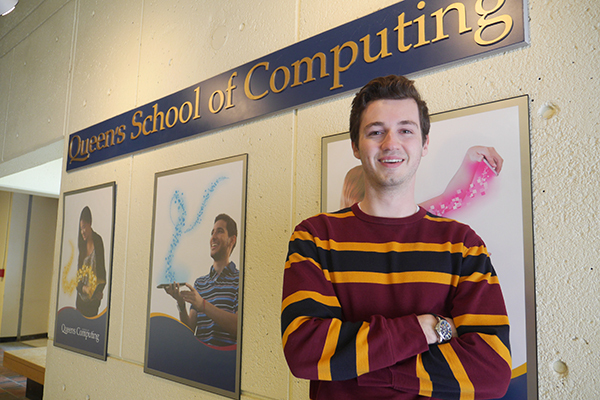 Zac has been recognized for his contributions to the Queen’s University community specifically for helping the Queen’s School of Computing grow. Zac will be defending his MsC thesis on April 15th and we are so grateful for his continued hard work and efforts toward the School! Read the full story on The Gazette.